Website buttons and links are the most widely used interaction elements in web design and can be seen on almost any website. Buttons can be placed into two categories: those that perform a submit function and those that are equal to links. Buttons for website refers to the ability to create call-to-action buttons and submit buttons that are strategically placed on your website. Doing this, especially using HTML can be difficult and challenging. Mistakes can be done at any point in the process and many times different web interfaces might register error messages. A call to action in web design terminology refers to a term used for elements in a web page that require an action from the user. Calls-to-action usually come in the form of clickable buttons that when clicked, will perform an action like "purchase now!" or lead to a web/landing page with additional information. Creating an effective call-to-action button for a website that grabs the user’s attention can be time-consuming, along with creating problems in uniformity across different browsers and devices. For example, if you use the button element in an HTML form, different browsers will submit different values. Another problem associated with creating a call-to-action button is ongoing prototyping and designing information architecture processes in order for them to work well. Exai, the website CMS used by thousands of small and medium businesses to build their own website has developed an excellent solution to deal with some of these issues. 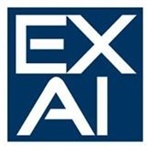 Exai understands that "every click counts" and has vastly simplified the ability for users to create a variety of buttons for website functionality. Exai buttons symbols contain three states by default, these are normal, hover and pressed. All three states are visible to the user as they interact with the button. Our focus is proving good button design and placement for better button functionality, in order to help the users to easily create a great UX effect. Buttons can be optimized by editing the text font and size, create a shadow effect, change border size and background color of any button you want. Works everywhere. Compatible with all browsers. Using Exai, designers can eliminate the time it takes to code and design buttons, as well as have positioning functionality without using any code. You can drag and drop button elements anywhere on your page, as they are easy to customize and understand. With this introduction to the features and functionality of the website buttons, it is easy to get started with your own website and add buttons with very little effort. It's a great way to make a big impact. Using too many buttons is a common problem for many apps and websites. If provided too many options for the users, they might end up doing nothing. When creating buttons, think of the most important actions you want your visitors to perform and lead them there. If you want to learn more from our team itself, you can give us a call on +1-323-486-9885 (US) or +44-2033188581 (Europe) or fill out the contact form below and we will get in touch with you as soon as possible with answers to all of your questions!